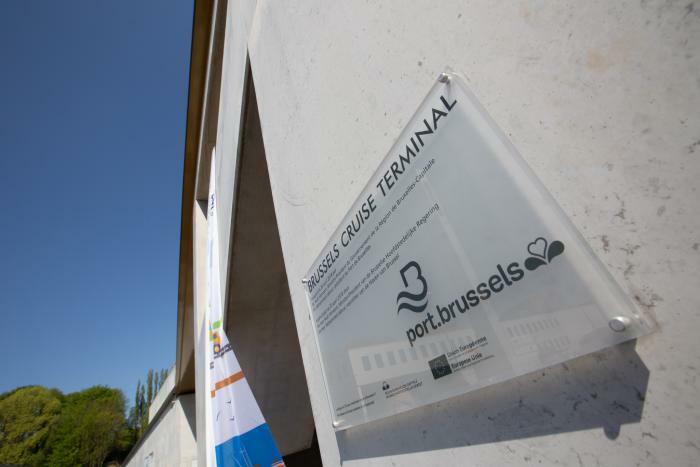 2018.04.20 - The Minister-President of the Brussels-Capital Region, Rudi Vervoort, and the Chairman of the Port of Brussels, Mohammed Jabour, today inaugurated the new Port of Brussels passenger terminal, Brussels Cruise Terminal. River cruisers were already calling in at Brussels on 160 days in the year (12,000 passengers in 2017), but had to dock at Quai de Heembeek, an industrial quay that the Port intends to retain for this purpose. 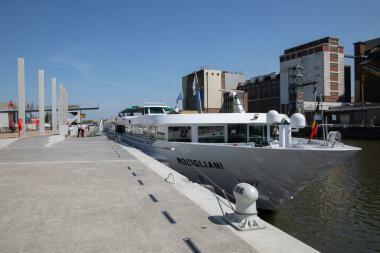 Brussels Cruise Terminal provides these boats with a terminal worthy of Brussels’ status as an international capital. The socio-economic study prior to the commencement of the project concluded that the terminal could receive 35,000 passengers per year by 2030, representing an economic benefit to Brussels of around 5 million euros per year. The terminal’s total cost is 5.2 million euros, and has been funded by the Port of Brussels through regional allocations. The Port has also received 2.9 million euros of European funding from the ERDF. 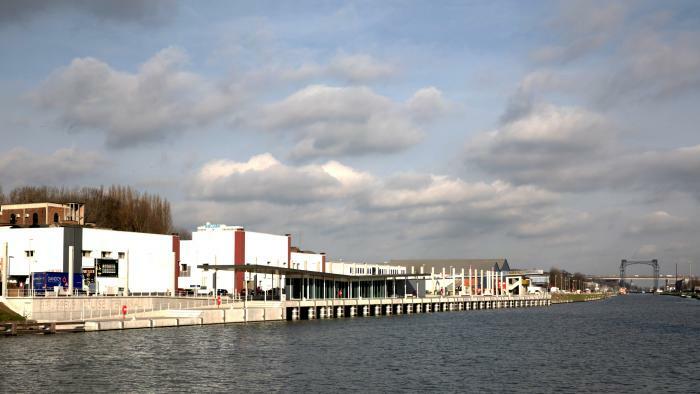 Brussels Cruise Terminal has been a major project for the Port of Brussels, developed as part of the Canal Plan in collaboration with the Brussels-Capital Region, the City of Brussels, Brussels Mobility and Visit Brussels, among other partners.